Exercise, pulmonary rehab, oxygen therapy, and support groups are important factors for properly managing chronic obstructive pulmonary disease (COPD), and each play a vital part in minimizing the overall severity of your COPD symptoms. Proper nutrition should not be forgotten. As a patient with COPD it's important to realize that due to the increased workload COPD puts on your lungs and body, your body can require up to 10 times the daily caloric intake than that of a healthy person to supplement the increased energy demand. COPD often leads to many patients becoming malnourished and underweight due to a lack of appetite. COPD results in additional health complications and even the development of new or worsening COPD symptoms (flare ups). 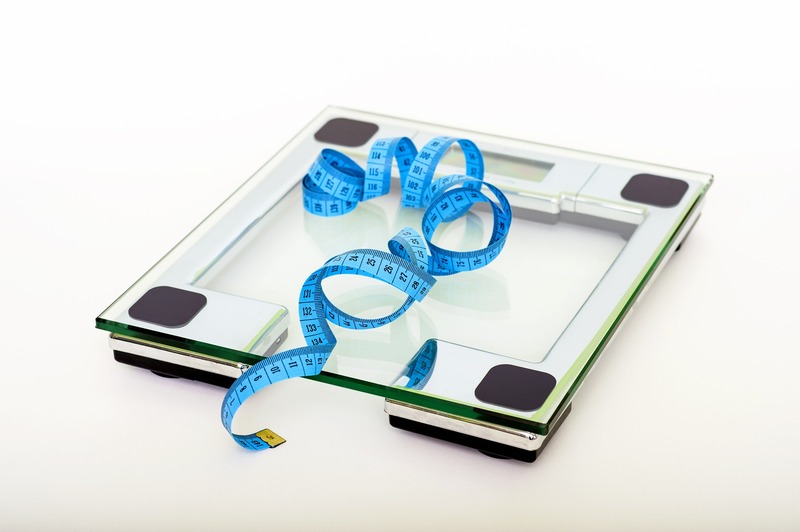 It's important for you to understand that though you may need up to 10 times more calories, you need to be mindful of how you are getting those extra calories to avoid unwanted weight gain. But don't worry, we will give you a detailed outline of specific foods you should eat to get chronic lung disease improving nutrients. 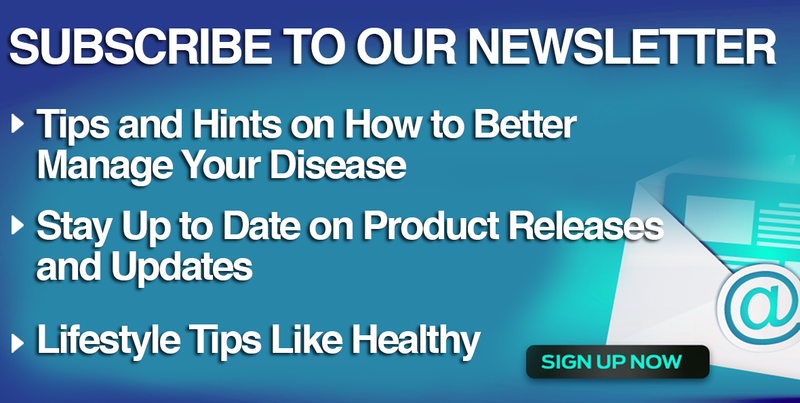 If you are ready to start improving your life through proper COPD nutrition therapy, you're in the right place! Before we begin to discuss the types of foods and nutrients that are essential for proper COPD treatment, you must first have a goal of maintaining a COPD friendly body weight. As being overweight or underweight can both have a serious impact on the quality of your life with chronic obstructive pulmonary disease. Facing COPD while underweight can cause you to constantly feel weak and tired, leaving you more susceptible to disease worsening infections. While being overweight puts increased strain on your heart and lungs, forcing them to work harder. Leading to intensifying symptoms, reduced exercise tolerance, lower moral, and feelings of depression/anxiety. 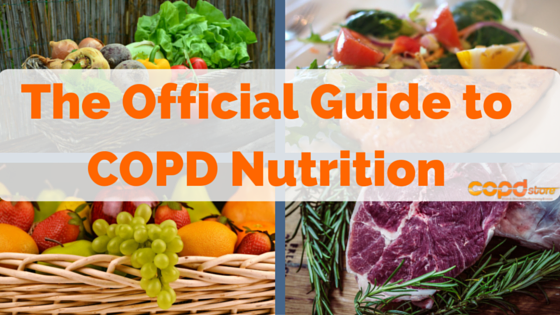 Whether you are looking to lose or gain weight for the betterment of your COPD, nutrition is a vital pillar in the long term management of your COPD. When looking at COPD, you may be surprised to learn that a lung disease can be directly affected by what you eat. Being malnourished when diagnosed with COPD can directly impact your ability to breathe, the intensity/development of new or worsening symptoms. Low energy levels (fatigue), leave you susceptible to disease-worsening infections such as the flu, colds, or pneumonia, and increase your already heightened risk of osteoporosis. Food is the key source of energy for your COPD-ridden body, and that tasty and convenient fast food meal certainly won't satisfy your increased nutritional needs. 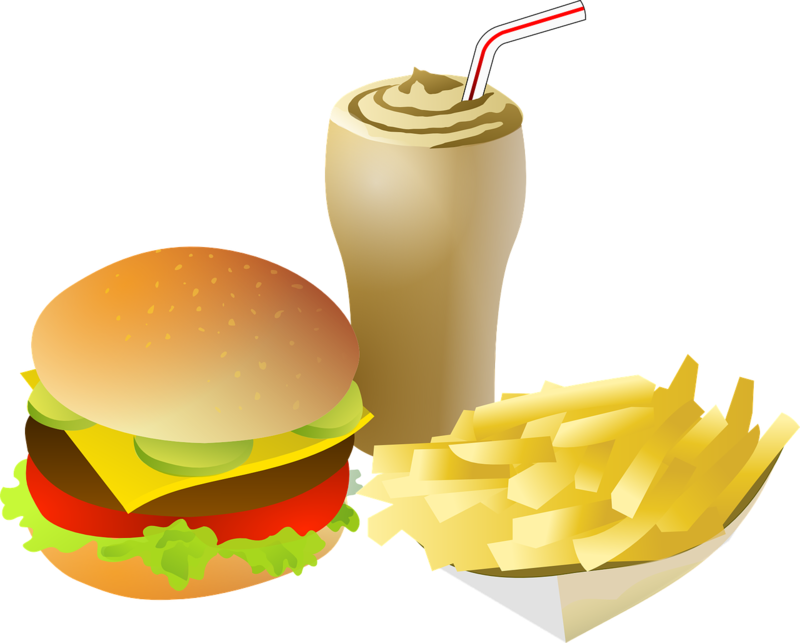 Regularly eating unhealthy and processed foods can lead to new or worsening COPD symptoms, increased levels of fatigue, and unwanted weight gain. Instead, you should eat a diet filled with lean meats, vegetables, fruits, whole grains, and dairy (unless instructed otherwise), while minimizing your intake of sodium, caffeinated & carbonated beverages, fried or processed foods, alcohol, sulfites, and nitrates. Maintaining a nutrition rich diet will help to relieve symptoms of shortness of breath, improve muscle strength, provide protection from disease worsening infections, and fatigue. Additionally, your exercise tolerance will increase, causing a reduction in the severity of shortness of breath and other symptoms while helping you maintain a healthy weight. Later on in the post we will discuss which foods are nutrient powerhouses for COPD and why you need them in your daily diet in order to improve your chronic pulmonary disease. Though the above foods are tasty and are often most accessible do you really want to put your health at risk just for a few quick and tasty meals? Probably not. But the question is, what types of food should you completely cut out and why? To answer, you should eliminate those greasy, fat-loaded and highly processed fast food meals, heavily salted foods, sugary snacks and beverages, excessively spicy foods, alcohol, sulfites, and cured meats that contain nitrates such as hot dogs, cold cuts, ham, or bacon. Fried and Processed Foods - Sure, it's easier to go to your favorite drive-thru or pop those frozen dinners into the oven than actually preparing a meal from scratch. But convenience comes at a costly expense, your health. An unhealthy diet like this is loaded with fats, sodium, and carbohydrates, that will lead to unwanted weight gain and bloating, causing a decrease in energy levels and increased breathlessness. It also increases your risk of heart disease. Sugary and Caffeinated Drinks - You may want to think twice about reaching for your favorite carbonated soft drink, beer, sparkling water, or sparkling cider. Not only are the packed with copious amounts of sugar, caffeine is an equally dangerous culprit with COPD. Caffeine, especially when consumed close to bedtime, can severely impact your quality or ability to fall asleep. When you lack sleep you feel sluggish and fatigued all day, preventing you from cooking healthy meals or performing daily exercises. Further, these beverages are highly carbonated and contribute to gas and bloating. It's important that you minimize your intake of caffeinated and sugary beverages, especially close to bedtime, in exchange for water. 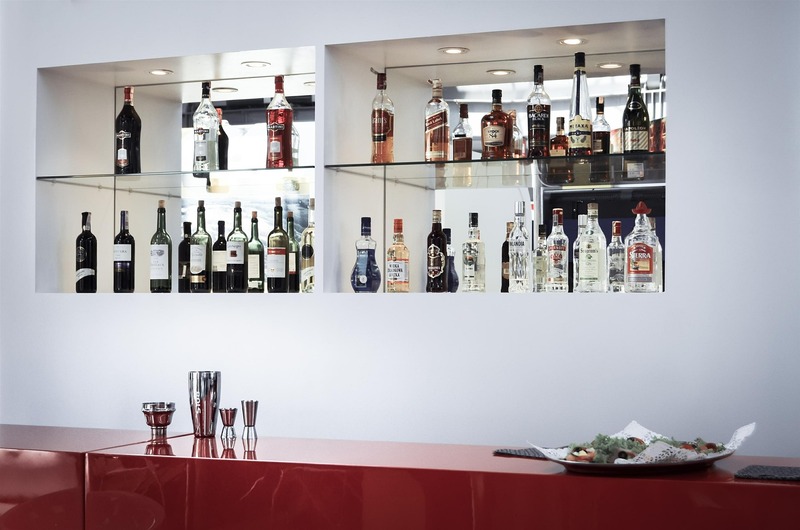 Alcohol - If you like to have a glass of wine or a beer from time to time, you should speak with your doctor about the effects alcohol may have on your COPD. Alcoholic beverages such as beer contain sulfites, which are known to cause a trigger that narrows bronchial tubes and worsens the severity of your breathlessness. Drinking alcohol in excess can cause further breathing complications and decrease your ability to clear mucus from your airways. Not to mention, many medications act negatively with alcohol. Heavily Spiced Foods - Be cautious when eating food that is heavily spiced, as they can cause gas, indigestion, and bloating that may affect your breathing. Foods that Cause Heartburn or Acid Reflux (GERD) - Eating certain foods can cause heartburn or acid reflux, which is is known as GERD (gastroesophageal reflux disease), that causes stomach acid to leave the stomach and enter the esophagus and lungs. GERD can cause your chronic cough or breathlessness to flare up. You should be mindful as to what foods cause heartburn or acid reflux (GERD) and do your best to avoid eating those foods, especially since patients with COPD are at an elevated risk of developing GERD than that of person without the lung disease. Nitrates - You should minimize the consumption of cured and processed meats due to nitrates. Do your best to limit your consumption of bacon, cold cuts, hot dogs, or ham. When COPD patients consume nitrates in large amounts, symptoms of chronic lung disease can magnify (flare up). Salty Foods - Ideal COPD-friendly meals contain 300mg of sodium or less per serving. Consuming large amounts of sodium can not only lead to increased blood pressure, but can also hamper your breathing further due to water retention. Instead of reaching for the salt shaker substitute it with herbs and salt-free spices. Be sure to check the ingredients to ensure they won't interact negatively with medications. Struggling to reduce your sodium intake? Check out these 5 sodium reducing tips. Sulfites - This chemical is often added to foods and drinks to preserve the look and shelf life of certain foods. The problem with sulfites is they cause your bronchial tubes to narrow. Foods and drinks such as potatoes, shrimp, wine, and beer are common culprits which contain sulfites. Lets now take a look at the varying nutrients you should be receiving from the foods you eat and why they are necessary for improved health. Ensuring you get a daily dose of the following nutrients can improve not just your respiratory health, but your health as a whole. Protein - Protein is an essential nutrient that plays a vital role in protecting your body by producing infection-fighting antibodies. A combination of low nutrition and protein intake can severely impact your lung's ability to fight off disease-worsening infections. Getting your daily recommended protein intake can help to strengthen your respiratory muscles, causing a reduction in the severity of shortness of breath. Additionally, protein can help to strengthen your muscles to improve exercise tolerance helping you to maintain a healthy weight while boosting energy levels. The most common sources of protein are lean meats, fish, eggs, poultry, and dairy products. Fluids - As a COPD patient it is very important for you to consume 64-86 ounces of caffeine-free liquids each and every day. Not only will this keep you properly hydrated, but it can also help to thin mucus making it easier to break up and expel. Drinking the daily recommended amount of water can also help to prevent constipation. Calcium - Not only does calcium play an important role in strengthening your bones and immune system, but in addition to magnesium, the two regulate lung function, blood clotting and muscle contraction. Patients with COPD are at an increased risk of osteoporosis, especially if you are using corticosteroids. These medications can speed up the loss of calcium. It is recommended that men and women under 50 consume 1,000mg per day and up to 1,200mg per day if you are older than 50. Vitamin D is equally important, as it is necessary for the absorption of calcium. Both are found in milk, eggs, cheese, or fortified cereals. Magnesium - This very important mineral is involved in protein production, muscle contractions, and blood clotting. Magnesium is the fuel that makes muscles work. When magnesium is combined with calcium, the two work together to deliver an antihistamine like-effect that reduces the severity of your shortness of breath. The recommended daily intake of magnesium for men over the age of 31 is 420mg and 320mg for women. Exceptional natural sources of magnesium are dark green vegetables, peas, whole grains, or beans. Phosphorus - Playing an important role in the structural development and function of all living cells, phosphorus is a necessity for the creation of energy. Phosphorus is also involved in building and repairing damaged tissues. You should consume at least 700mg of phosphorus per day through COPD friendly food options that include milk, cheese, poultry, fish, lean meats, eggs, and nuts. Potassium - Potassium is involved in muscle contractions, healthy heart function, and it helps deliver nerve impulses throughout the body. A lack of potassium can cause serious irregularities in your heartbeat. Consuming potassium daily can lower blood pressure, anxiety, and stress levels. Furthermore, a regular consumption of potassium has also been shown to increase muscle strength. If you are currently taking diuretics you may have to increase your potassium intake, as certain diuretics cause the kidneys to expel large amounts of potassium from your body. Potassium packed food sources include oranges, bananas, milk, yogurt, carrots, spinach, or grapefruits to name a few. Fiber - By consuming foods rich in fiber you will feel fuller sooner, preventing you from overeating. Fiber also regulates blood glucose levels, and helps to move food along in the digestive tract, minimizing bloating and constipation that can further intensify your shortness of breath (breathlessness). You should aim to eat 25-30 grams of fiber each day from whole grain foods, almonds, lentils, bran, fresh fruits, or vegetables. Vitamin A - Contributing to the development of white blood cells, a healthy intake of Vitamin A can help your body fight off possible infections that may enter your body. Reach for some carrots, spinach, or cod for an excellent source of immune boosting Vitamin A.
Vitamin C - As you may already know Vitamin C is extremely necessary for a healthy and strong immune system. But in addition to strengthening your immune system, Vitamin C also enhances the antioxidant effects of Vitamin E by destroying free radicals and reducing lung inflammation. This important vitamin is required by your body in order to repair damaged lung tissue. Citrus fruits are the most common sources of Vitamin C, others include leafy greens, broccoli, or berries. Men need to receive 90mg of Vitamin C and women need 75mg per day. Vitamin D - Similar to the benefits of Vitamin A, Vitamin D contributes to your body's immunity and provides protection from symptom worsening flare ups (exacerbations), respiratory infections, and can reduce the risk of osteoporosis. Vitamin D also helps to reduce lung inflammation, while also playing an important role in the maintenance of healthy bones. Salmon, mackerel, dairy products, or good ol' fashioned sunlight are excellent sources of Vitamin D.
Vitamin E - Due to the number of free radicals in your lungs, which cause increased inflammation and thus shortness of breath. Vitamin E works to reduce those free radicals, helping to minimize lung inflammation. Peanut butter or dark leafy greens are healthy and tasty options for getting Vitamin E.
There are a few food groups that should compose the majority of your diet, by eating the following food groups you will obtain the vital nutrients your body is currently deprived of to enhance your health with COPD. You should eat a plethora of brightly colored fruits daily. Not only do they require little preparation, which is ideal for days when you are feeling fatigued, these delightful foods are packed with essential nutrients. By regularly incorporating fresh fruits into your diet you will nourish your body with Vitamin A, which has been shown to reduce symptoms of COPD, immune system boosting Vitamin C, antioxidants that fight off inflammation, and vital minerals (calcium, potassium, magnesium, zinc, phosphorus) that improve bodily and respiratory functions. Keep an eye on how you feel after eating certain fruits, especially citrus fruits, as they are known to cause heartburn or acid reflux (GERD). If this happens to you, whether with citrus or other fruits, you should take note and do your best to avoid eating them. Keep a close eye on the sugar content of fruits and how they impact your weight. Russell Winwood of COPD Athlete says "I'd be careful about indulging in some fruits, watermelon is one that is high in sugar. In the past I had watermelon daily and found my weight was increasing, by cutting it out I solved the problem." Always make a spot on your plate for a healthy serving of brightly colored vegetables: not only are they gorgeous but they pack a nutritional punch. 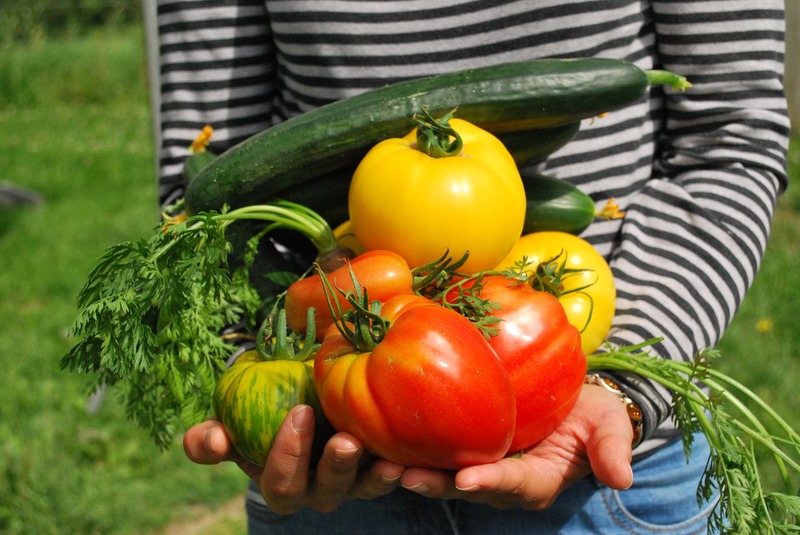 Vibrant vegetables provide your body with potassium, fiber, Vitamin A, and Vitamin C to name a few. They can help to regulate your digestive system, enhance your immune system to fight off disease worsening infections, and improve respiratory and heart function. Additionally, due to the bright color of vegetables they provide vital phytochemicals. These are important for fighting off free radicals in your body, which damage your cells and tissues that can lead to chronic illness. You should be mindful of how certain vegetables make you feel, especially leafy greens or veggies from the cabbage family (broccoli, cauliflower, Brussels sprouts, and radishes). As these veggies are known for causing gas and bloating, they may put excess pressure on your lungs and further worsen breathing difficulties. Instead of opting for an unhealthy greasy piece of pizza, fill your plate with delectable meats and fish that are lean in fats and provide the nutrients your COPD-ridden body is in dire need of. Lean cuts of meat, chicken, and fish such as mackerel, salmon, tuna, or sardines can help your body fight off symptom-worsening infections. Not to mention, lean meats and fish are excellent sources of protein that boosts energy levels, provide infection fighting benefits, and help strengthen your respiratory muscles. 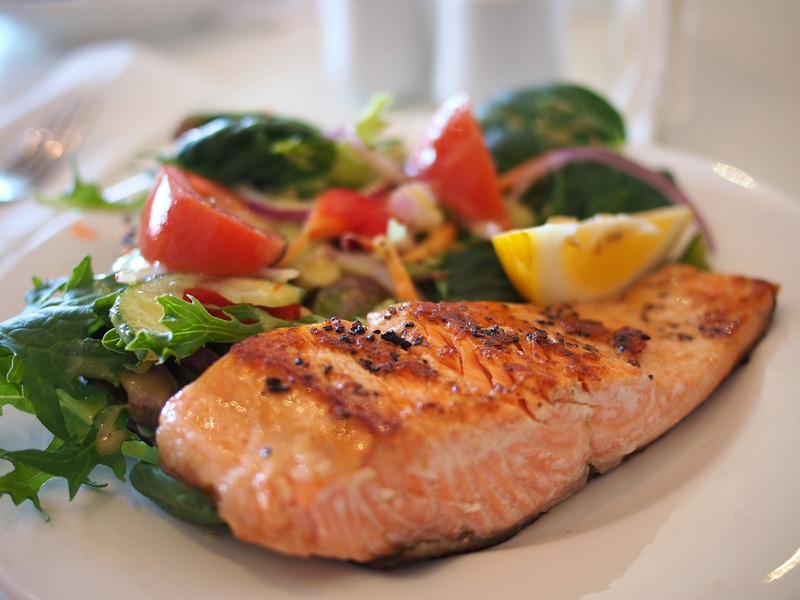 Fish is fortified with inflammation-combating omega-3 fatty acids. It's important that you always include a piece of lean meat, chicken, or fish in your daily meals/snacks to supplement your increasing protein needs. When preparing fish or meat you should always broil, grill, poach, bake, or steam, to ensure the lowest fat content. By saturating or frying lean meats and fish with butter or oils, the overall fat content dramatically increases. Eliminate creamy sauces or breading your meat, in exchange for healthy and flavorful herbs such as rosemary, thyme, oregano, or sage. Work in a regular serving of whole grains to your diet in exchange of refined carbohydrates such as white bread (white flour), white rice, and pasta. These do nothing but pack on empty calories and increase symptom-worsening inflammation. Whole grains are loaded with fiber, which helps keep your digestive system running smoothly and makes you feel fuller sooner, preventing you from mindlessly overeating. 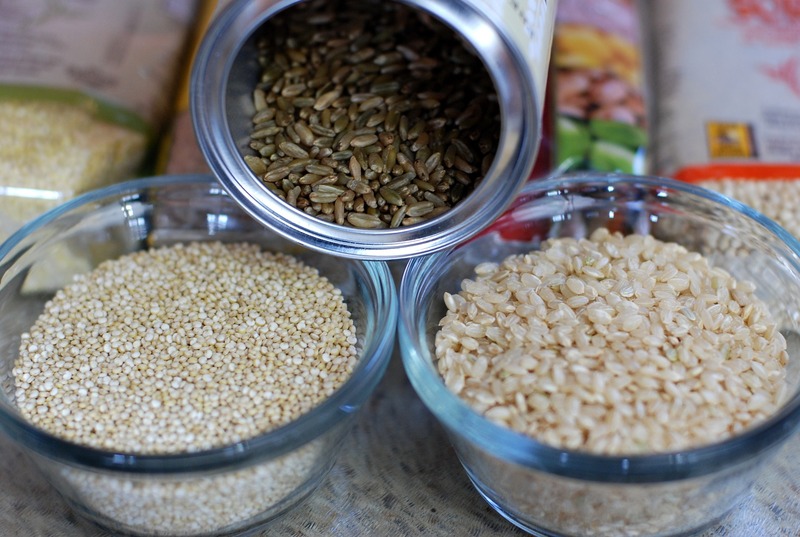 Whole grains are also a healthy option for supplementing your body's increased demand for carbohydrates. While grocery shopping, check the ingredients and cut out foods that contain enriched white flour and opt for foods with whole grain wheat flour. 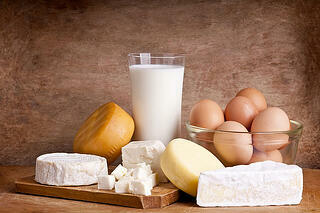 You should be sure to get a regular intake of dairy products such as milk, yogurt, or cheese. Forgoing dairy products means you are missing out on the bone fortifying benefits that calcium, and the inflammation-reducing benefits that Vitamin D provide. If you notice that dairy products increase the thickness of your mucus, consider minimizing or eliminating dairy products. Instead, opt for alternative methods like almond milk. Before cutting dairy products out, you should consult with your doctor about possible dairy substitutes. However, if dairy does not make your phlegm worse then you should continue eating dairy products. 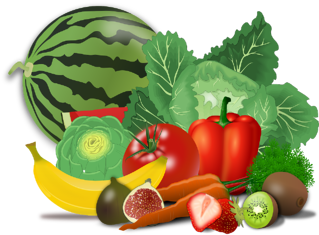 Now you are equipped with the knowledge on how to eat a diet that is COPD friendly. However, the associated symptoms of this progressive respiratory disease may come in the way of cooking fresh meals. Here are some meal time tips to help you when experiencing breathlessness, fatigue, or lacking an appetite. Instead of eating 3 large meals, try eating 5-6 smaller portioned meals throughout the day. Doing so can help to avoid overfilling your stomach, which can restrict your lungs from expanding and increase the severity of shortness of breath. Opt for foods that are easy to chew. Ease the pressure on your lungs by eating upright. Avoid foods or drinks that cause gas or bloating. Use your portable oxygen concentrator while eating. Use COPD breathing exercises such as pursed lip breathing. Conserve energy levels by choosing COPD friendly recipes that are quick and easy to prepare. If you can, sit down while preparing your meals. While cooking, prepare extras and save leftovers for quick and easy meals throughout the week. Ask friends and family members to help with meal preparation. Eat your main meal early in the morning to maintain high energy levels for the entire day. Avoid laying down after eating. Frequently eat small meals and snacks throughout the day. Stimulate your appetite with regular exercise. Put a healthy spin on your favorite meals. Drink liquids at the end of meals to prevent feelings of fullness while eating. Minimize sugar consumption in exchange for protein and healthy fats. Eating a healthy and nutrient conscious diet won't cure your COPD, but when combined with exercise, pulmonary rehab, oxygen therapy, and support groups, you can master the management your COPD and live the life you've always wanted to. Contribute to improving fellow COPD patients' lives by sharing some of your all-time favorite COPD friendly recipes for breakfast, lunch, dinner, or snack time by leaving a comment below. Didn't find what you were looking for? Leave a comment below and we will be more than happy to answer any of your questions or concerns about eating a healthy and nutritious COPD friendly diet.